A fun, feel-good embrace of connection, Future Generations’ enchantingly vibrant “Landscape” resonates with dynamism and infectious energy. Things are pretty bad out there these days, so the idea of an insulated perfect community seemed all the more ridiculous to us. 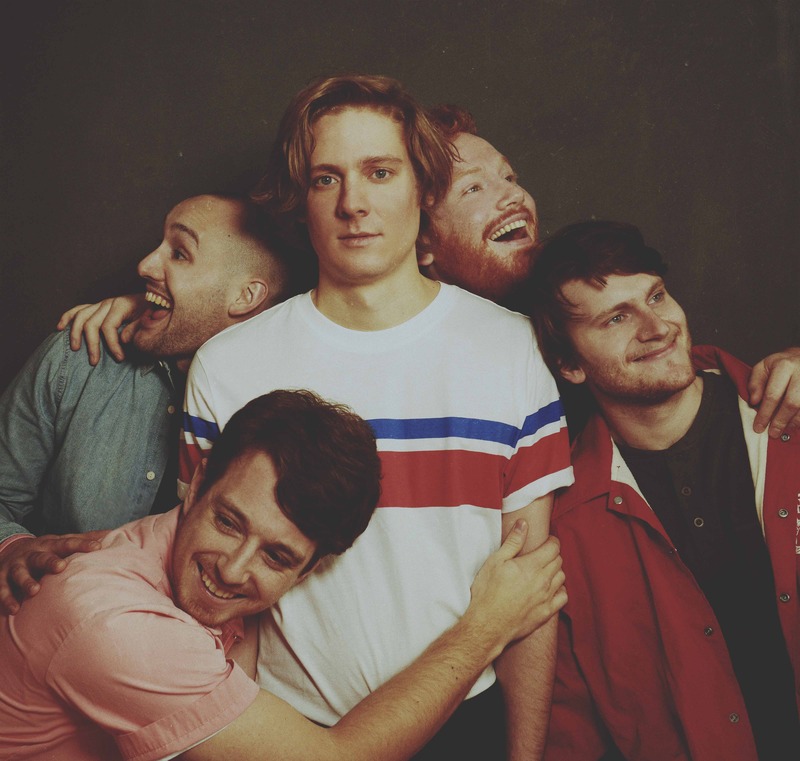 Future Generations’ whimsical new music video rounds out an exciting and transformative, yet indisputably complicated year for the indie pop band. 2018 has seen the former trio of Eddie Gore (vocals, keys, guitar), Mike Sansevere (synthesizer, guitar, percussion), and Eric Grossman (guitar) cementing their five-piece lineup with Devon Sheridan (bass) and Dylan Wells (percussion) and settling, all together, into their new Brooklyn digs; it’s seen them embark on a packed nation-wide tour spanning coast to coast; and it’s seen the release of their sophomore album, Landscape (9/14/2018 via Frenchkiss Records). It’s also been a year full of social, cultural, political, and emotional unrest and upheaval throughout the country – and everyone, including Future Generations, is feeling the impact. From their perch in New York’s trendiest borough, these five guys are doing their part to make the world a little brighter. “We want our songs to thrust you forward into a happier, more hopeful day,” the band says. Indeed, listening to Landscape offers a freeing escape from the everyday: Produced by Vampire Weekend and Hamilton Leithauser collaborator Justin Gerrish, Future Generations’ second record expands their sound and scope as they finesse their artistic vision. A proper, fully realized album, Landscape is immersively warm, charmingly upbeat, thoughtfully engaging and sonically distinctive. This dynamism and infectious energy resonates with particular force on the album’s bold title track. A fun, feel-good embrace of connection, the enchantingly vibrant “Landscape” explores our emotional well-being and how we find strength in hard times. Spirited, uplifting, and nuanced, “Landscape” captures Future Generations reeling in the tumultuous, unbalanced chaos that is life. Perhaps it’s only fitting, then, that the song’s music video comically portrays a happy utopia by means of pseudo-vintage sizzle reel. Fashionably retro and delightfully tongue-in-cheek, the Kenny Polyak and Drew Lewis-directed visual highlights Future Generations’ lighter side, finding them smiling and waving at the camera, jumping around onstage, and having a picture-perfect good time. It’s a powerful end to a big year for the band, who’ve got plenty of reasons to be thankful for 2018, and even more excited about 2019. 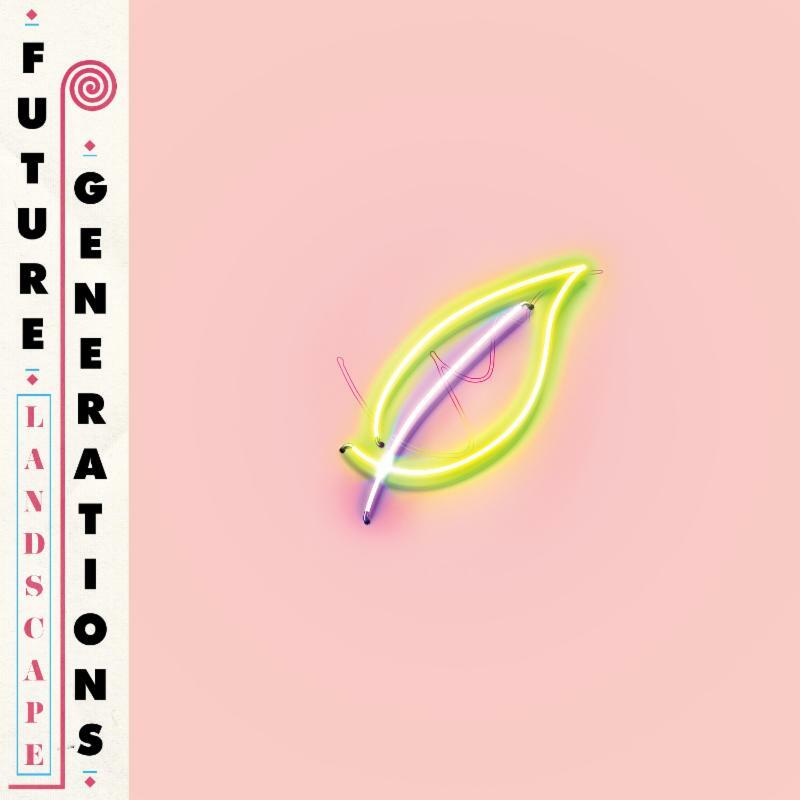 Listen to Landscape, out now on Frenchkiss Records, and dive deeper into the album’s title track as Future Generations share the inspiration behind the song and its video in our exclusive interview! Atwood Magazine: I believe title tracks hold meaning and weight for albums. What is the significance of “Landscape” on your record? Future Generations: We share the same sentiment: We wanted a meaningful album title because pretty often a title track holds inherent meaning to an attentive listener. We didn’t have to try hard with “Landscape;” The name came to us early on in the process of putting together the record. It’s an expansive and malleable word. It refers to the environment, one’s emotions, a political moment and, of course, a soundscape. Thus the word wonderfully encompasses those various themes we approach on the record. How have you traditionally approached music videos for songs, and what was your intent for the “Landscape” video? Future Generations: We typically create an idea as a band – for either an aesthetic or narrative. For “Landscape,” Mike sent us an old ‘90s sizzle reel and it was exactly what we wanted to lampoon. It worked great because the budget didn’t have to be high: We’d just play the characters, bring our own clothes and outfits and go around town playing dress up. Who directed the “Landscape” video, and how did that relationship come about? Future Generations: Kenny Polyak and Drew Lewis. The key to our video making process is to find the right director to make it come to fruition, and we’ve found that in working with Kenny and Drew. We worked with them for the “All the Same” video. Devon came across them via Yoke Lore’s “Beige” video. We just reached out, and they were down to clown. How does the song's initial message differ from the video's message? Future Generations: At first glance, there’s not a direct similarity between the messages. Lyrically, “Landscape” explores the dynamic of relationships of comfort when the expansive, outside world grows uncomfortable. The video, conversely, satirizes an idyllic community in which everyone is comfortable. So maybe it’s actually pretty intertwined??? Many artists seem to be interested in retro-style videos these days, but you dive back in time in a different way. What's the point of this extended introduction to a “community”? Future Generations: Yeah, it’s definitely a trend. We came up with our video idea, made plans to shoot it, and then immediately the next few months ’80s and ’90s-inspired videos started dropping all over the place. But that’s all good, great minds think alike. We’re definitely hitting the “ideal community” aspect with our tongues in our cheeks. Obviously things are pretty bad out there these days, so the idea of an insulated perfect community seemed all the more ridiculous to us. Your video opens with the monologue, “Welcome to Landscape, a close-knit community tucked away in the center of Washington. It may seem like your average neighborhood, but its founders worked tirelessly to ensure the best for future generations.” Let's talk about how you interpret your own band name. What does it mean to you? Has this name impacted your approach to your songs and music? Future Generations: Primarily, we see it as an inherently hopeful band name. We’re progressive and mindful of the future. Our name very subtly impacts our music: We want our songs to thrust you forward into a happier, more hopeful day. What has your second album campaign taught you, that you didn't already know from your first record? What felt new this time around? Future Generations: That’s a good question. Primarily, we’re just so grateful to our fans, new and old. The love we receive astounds us. And we’ve had the opportunity to tour more. We meet all these lovely people in different parts of the country who love our music and it’s just such a special feeling. We’ve also learned to trust ourselves with non-music-writing stuff. It’s such a slog, but there are real dividends that pay off. It can be rewarding, after laying brick after brick, to step back and start to see a strong foundation of friends and fans in the FG family. Our name very subtly impacts our music: We want our songs to thrust you forward into a happier, more hopeful day. What do you hope to discover in 2019? What's next for Future Generations? Future Generations: We want to experiment with our live show, such as arrangements and on-stage assignments. In that way, we’ll discover more about our potential as musicians. We’re going to tour a bunch, too. We’ve got a nice big tour in January and February lined up. We’re about to announce that. We’ll try to play more festivals, too. And of course, we’ll release more music. We have a bunch of demos on the laptop. At the end of the day, we’re just gonna keep working at making everyone’s lives just a little bit better with our music.